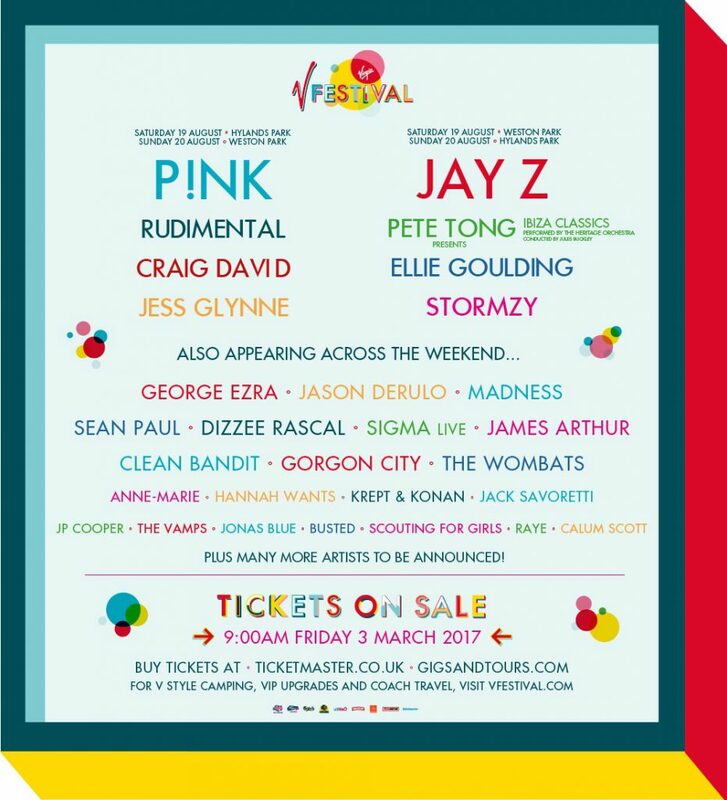 V Festival, set to kick off on 19th and 20th August 2017 at Staffordshire's Weston Park and Chelmsford's Hylands Park, has announced its multi-genre line-up this week, to include Pete Tong, Rudimental, Sigma (live), Hannah Wants and more, plus headliners JAY Z and P!nk. Unique to the festival is Pete Tong’s performance of his Ibiza Classics show, alongside The Heritage Orchestra conducted by Jules Buckley. The event will also host Ellie Goulding, Gorgon City and Stormzy amongst others, with more names to be announced in the coming months. V Fest, launched in 1996, is known for booking a wide-ranging roster of names over the last two decades, including Daft Punk, Calvin Harris, Carl Cox and Richie Hawtin. You can take a glimpse of the initial line-up below. Tickets are on sale beginning 9am on Friday 3rd March here.